The Baby Boomer Generation has revolutionized the in-home caregiving services field. While their parents may have had limited options when it came to senior care, they have more choices, including help with non-medical tasks like light housekeeping, grocery shopping, and companionship. More progressive senior care services include skilled nursing, Alzheimer’s and dementia care, and hospice care. These services allow people to stay in the comfort and security of their own homes, often for the rest of their lives. Daily activities are difficult enough for anyone who has recently had surgery, been seriously ill, or hospitalized, but it’s even more difficult for many senior citizens. It may take them longer to recover, or they can become easily tired and unable to keep up with tasks. The highly qualified caregivers at Assisting Hands Home Care provide outstanding in-home care services for seniors in Kendall, FL who need extra help around their homes. We thoroughly screen our providers before hiring them, and our home care aides can be available within 48 hours or less, if necessary. Assisting Hands Home Care is a licensed caregiving service that specializes in full service home healthcare. Our company has an excellent reputation of trust, reliability, and excellent service within the Kendall, FL community, and we work to maintain that reputation every day. All of our caregivers are carefully screened and pass extensive background checks before they are hired. They are trained in first aid and CPR, and they are bonded and insured, to give our clients complete peace of mind. The home health care aids at Assisting Hands Home Care provide a wide range of care to seniors. We also transport them to doctors’ appointments and physical therapy sessions. Our care coordinators ensure that all members of the client’s healthcare team are kept up-to-date regarding any changes to health or behavior. When it becomes necessary to look for assistance around the home, Assisting Hands Home Care’s staff can help clients navigate the assortment of senior programs available in Kendall, FL. Programs such as estate planning, reverse mortgages, Medicare benefits, and senior social events can help pay for expenses, enhance the quality of life, and lower stress levels for everyone. Assisting Hands Home Care provides compassionate hospice care services that allow patients to spend their final days, weeks, or months in the comfort of their own homes in Kendall, FL, surrounded by the people and things they love best. We keep patients as pain-free and comfortable as possible, so they can enjoy quality time, and help them pass with dignity and respect. Family members often shoulder much of the burden when a family member needs some kind of care, but that can be difficult to manage long-term. It’s easy to forget something when balancing caregiving with a job, a family, and other obligations, and burnout is always a possibility. Assisting Hands Home Care provides respite care to allow the family caregiver a break to take care of personal business or just get away on a vacation. We work with the caregiver to develop a plan of care so there are no disruptions in the schedule, giving everyone peace of mind. Patients with Alzheimer’s or other forms of dementia need specialized care to ensure their safety. Even a brief lapse in supervision can mean a patient can get into a dangerous situation. The caregivers at Assisting Hands Home Care are specially trained to provide high quality care to these patients. We make sure they receive the specialized care they need, and we work with them on memory improvement activities. It’s difficult to recover from any kind of surgery and trying to accomplish daily activities can seem impossible. It’s even worse for seniors, but if they don’t follow medical instructions they are at risk for setbacks. Assisting Hands Home Care can help by providing post-operative care for clients recovering from all types of surgeries. We keep them comfortable, dispense medications, and monitor their conditions to ensure their safety and chances for a full recovery. Being a family caregiver is already stressful enough and having no real solution for providing care for your loved ones at night can make your stress even worse. Seniors may need assistance during the night to use the restroom, and it is always possible for an emergency to occur. Having someone nearby in the middle of the night will help keep your loved ones safe and ensure that there is someone there to respond to emergencies. Assisting Hands Home Care provides overnight care services in Kendall, FL to help families care for their loved ones overnight. We can help your loved ones get ready for bed and we will be awake during the night to help with restroom use and other matters as needed. While some seniors can live comfortably in their homes with limited help, others may need constant care to ensure their safety. It is difficult for families to provide 24-hour care for their relatives on their own which is why Assisting Hands Home Care Serving Miami provides live-in care services for those who need it in Kendall, FL. With these services, one of our caregivers will live in the home of your loved ones to ensure that their care needs are met 24 hours a day. The daily activities we do without thinking become daunting after a stroke, injury, or dementia diagnosis. The caregivers at Assisting Hands Home Care can help with daily tasks like bathing, grocery shopping, preparing meals, and transportation, so clients can stay in their own homes longer. We can help with any need with compassion and care. If clients don’t have family nearby in Kendall, FL, we can help them pursue hobbies and recreational activities that keep their bodies and minds in shape. We schedule an initial assessment with each of our clients to develop a specialized care plan. The Care Coordinators work to identify benefit programs, such as VA pensions, long-term insurance, or Medicare, that can help with expenses. We collaborate with all medical providers and family members to create an ongoing care plan. 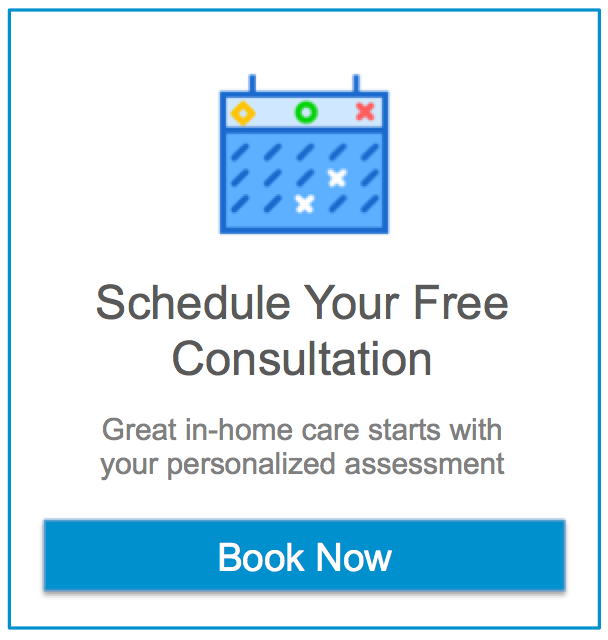 No matter what kind of service your loved one needs, Assisting Hands Home Care can create a plan that will suit the situation, whether it’s 24/7 care or weekly visits to check in. Our goal is to ensure that our clients can stay in their own homes in Kendall, FL, healthy and happy, for as long as possible.